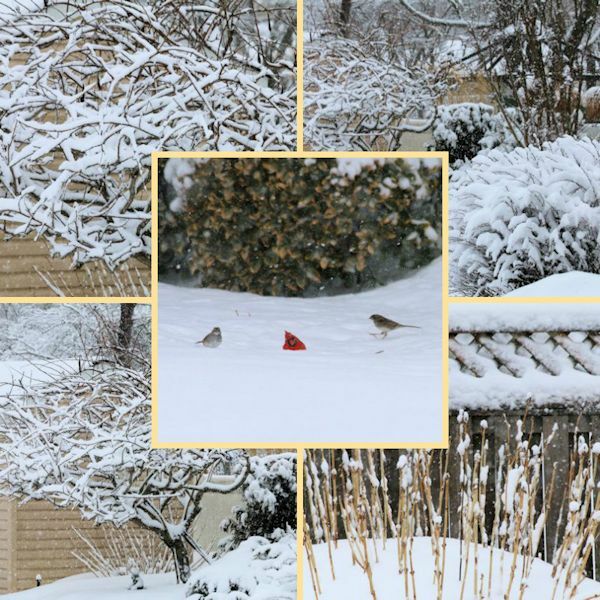 While winter is here and I look out at my evergreens buried under a blanket of snow, it is a good time to review some basic maintenance tips to prevent possible damage to your landscape plants. BROWNING OF EVERGREENS: You may be noticing browning on some of your evergreen trees. Browning in the center is perfectly normal and is how a tree sheds old needles to allow for new growth in spring. Needle shedding usually happens in the fall but is frequently much more noticeable once the snow arrives. Browning anywhere else on the tree such as on a leader or outside branches can be cause for concern. If an entire branch turns brown it could be that the branch is broken and should be removed when the weather allows to avoid stress and disease to the plant. Browning could also be the result of “winter burn” which I will discuss below. WINTER BURN: Winter burn is the drying effect of winter winds which can cause evergreens to appear brown. I have been getting a lot of questions this winter season regarding winter burn on evergreens such as Arborvitae, weeping and upright Blue Atlas Cedar, Cryptomeria and Golden Oriental Spruce. The narrow needles/foliage on these evergreens are even more susceptible to this effect. The abundant snow and reflection of rays from the sun also serves to magnify this phenomenon. This browning of the needles or “winter burn” should correct itself once the weather starts to warm and water is able to get to the cells of the plant and once again activate the chlorophyll within. If the tree is well established it should most likely fully recover and start to push out new growth as the temperatures rise. As an extra note, your broad-leaved evergreens such as rhododendron, cherry and skip laurel, boxwood and holly (to mention a few) should be sprayed with an anti-desiccant spray before winter arrives. See Anti-Desiccant on Broad-leaved Evergreens in November for more information. Stay warm…winter is almost over. Well we finally got that snow we’ve been lacking and a lot of it! We officially got 19.8 inches of snow here on parts of the south shore and more elsewhere on the Island. If you have ventured out you will notice tree limbs drooping due to being over weighted with snow and the first reaction is to brush them off… but beware. 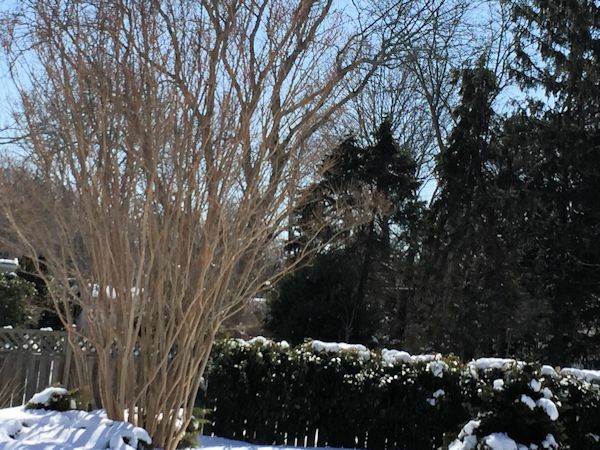 For the best care of your trees with snow-covered branches first allow the sun to start melting the snow and the branches will gradually start to pop back up. 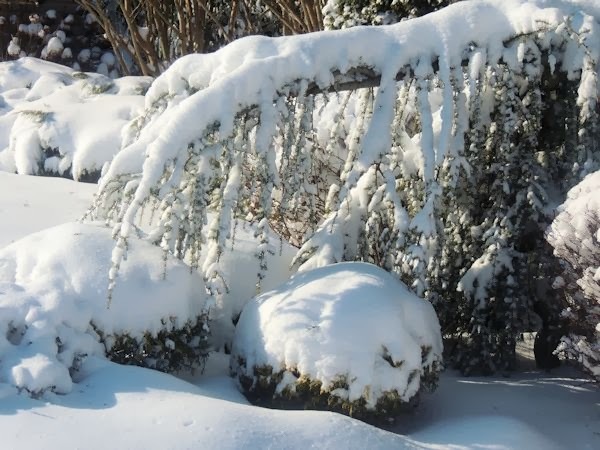 If you are able to gently brush off the snow do so but if the snow is frozen on the branches let it melt naturally in order to avoid tree breakage. The tree branches are very fragile right now and can be damaged easily. Stay warm. Spring is on its way! As winter progresses there is an increased threat of snow and ice build up on the branches of trees and shrubs in the landscape. 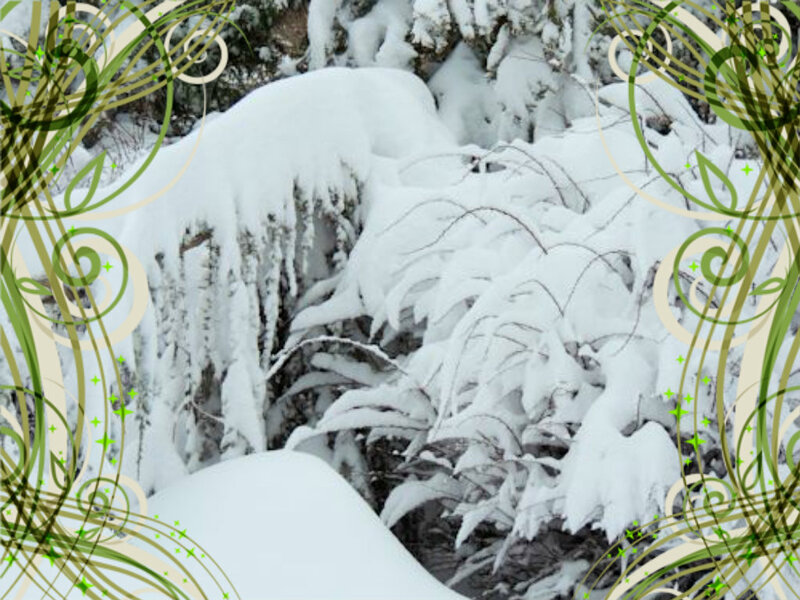 If snow piles up on your evergreens try to carefully brush it away as soon as possible before freezing to remove the excess weight from the branches. 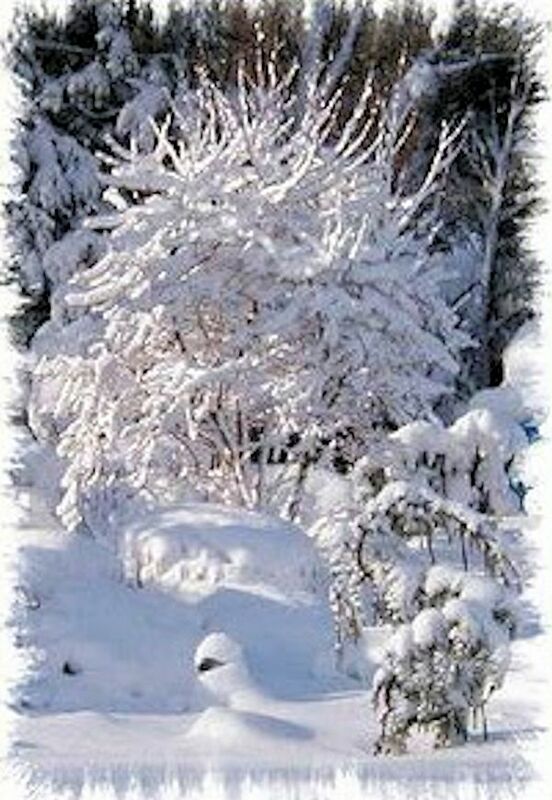 If the snow does not remove easily do not shake the branches. This can cause breakage and damage. 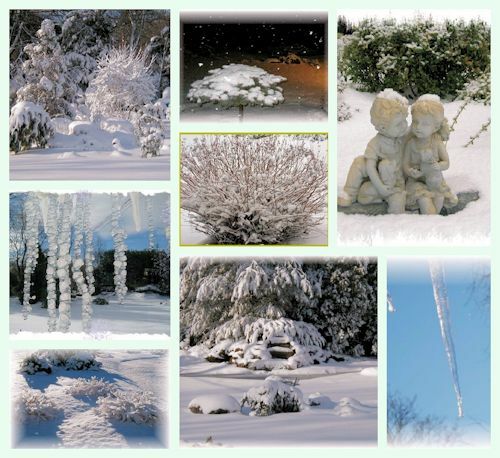 If the tree or shrub is covered with ice permit nature to take its course and allow the ice to melt naturally. If your landscape does suffer any damage from winter storms it is recommended to remove any broken limbs to avoid stress and disease to the plant. This can be done when the weather allows. Preventive measures that can be taken to avoid winter ice damage include keeping your trees properly pruned throughout the year. Fast growing trees and trees with horizontal branching such as ‘Bradford’ Pear are more prone to damage from excess weight. Prune away any weakened or overweight branches in fall before snow arrives. Frost Heaving: In freezing temperatures soil around your plants may be subject to frost heaving. This is when ice forms underneath the soil and expands upwards from the ground causing plants such as perennials to push upwards exposing the crown. Heuchera (Coral Bells) and Liriope are especially prone to this type of damage. 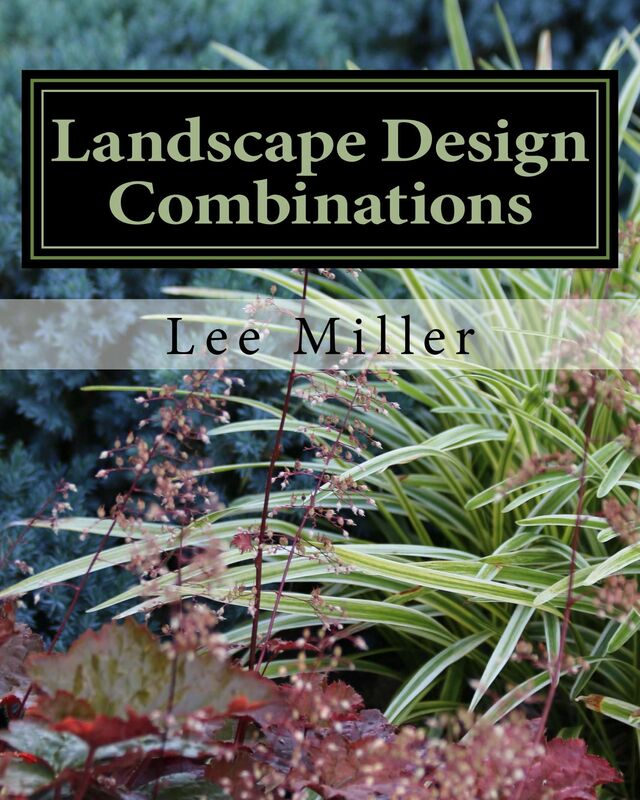 As a preventive measure apply mulch finishing to your garden beds. 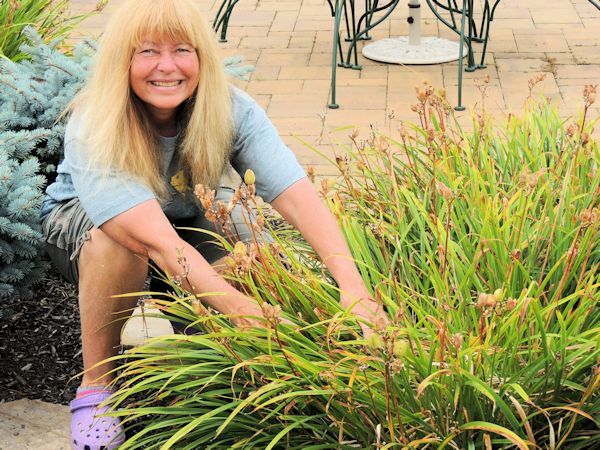 To remedy, slightly tap the soil back down, and brush the mulch back around the exposed crown of the plant to protect it. 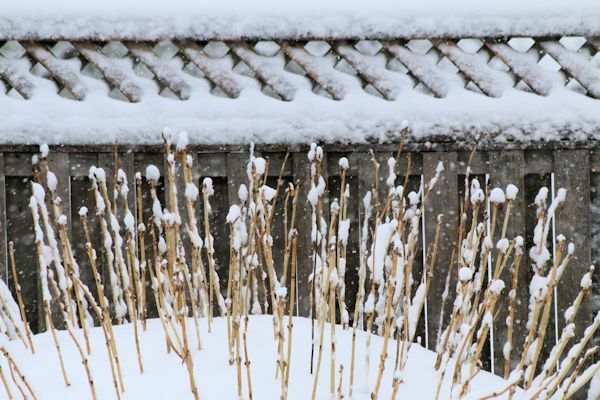 Following these few simple steps will help to prevent any unwanted winter damage to your landscape plantings.